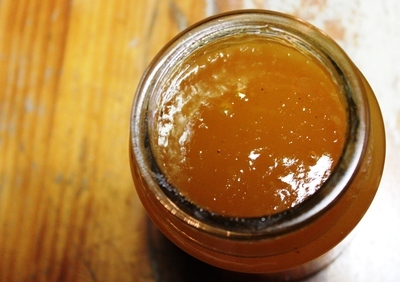 During mango season, we get overwhelmed by these juicy fruits, so this mango sauce is the perfect way to preserve them and enjoy them later in the year. 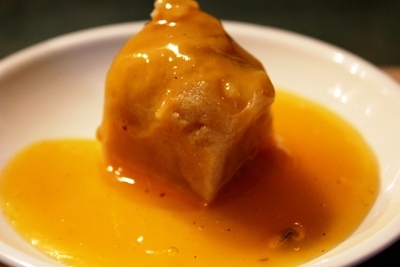 Mango sauce is really easy to prepare, and you can freeze any extras for a special occasion, or maybe offer some as a delicious edible gift. 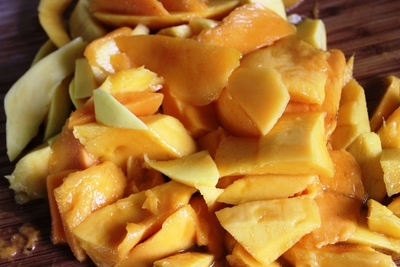 Peel and roughly chop the mangoes, removing the seeds. 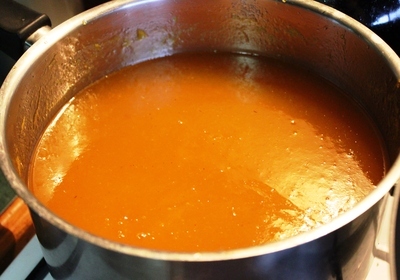 Put the unsweetened apple juice, sugar, nutmeg, cinnamon sticks and cloves in a large saucepan and simmer with the chopped mango for about twenty minutes, or until the fruit becomes pulpy and very soft. 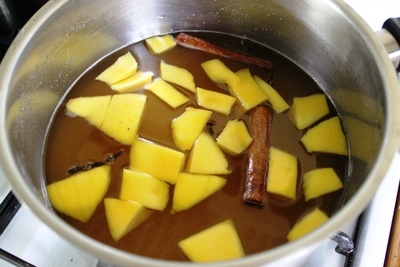 Remove the cinnamon sticks and cloves, then blend the remaining ingredients into a runny liquid. 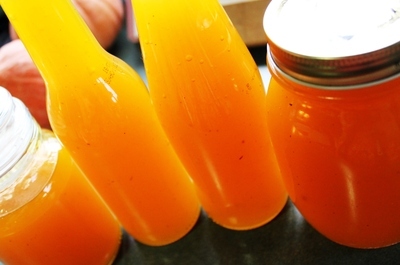 Pour the mango mixture into sterilized jars or bottles, seal and add a label when the jars are cool. Store in the fridge or pour directly over your favorite ice cream or cake. Enjoy.